Yeary Homes is well known for building amazing custom homes and this one is ready! Hardwood floors that were finished on-site are covering foyer, great-room, kitchen, office, stairs & loft. Great open floorplan with large kitchen w/island, dining area with wood tray ceiling,greatroom w/vented fireplace w/granite surround. Owner suite on main also has beautiful wood finished tray ceiling, large tiled shower, soaking bath & walk in closet. Upstairs has 2 bedrooms & full bath and large loft area w/hardwood floors. 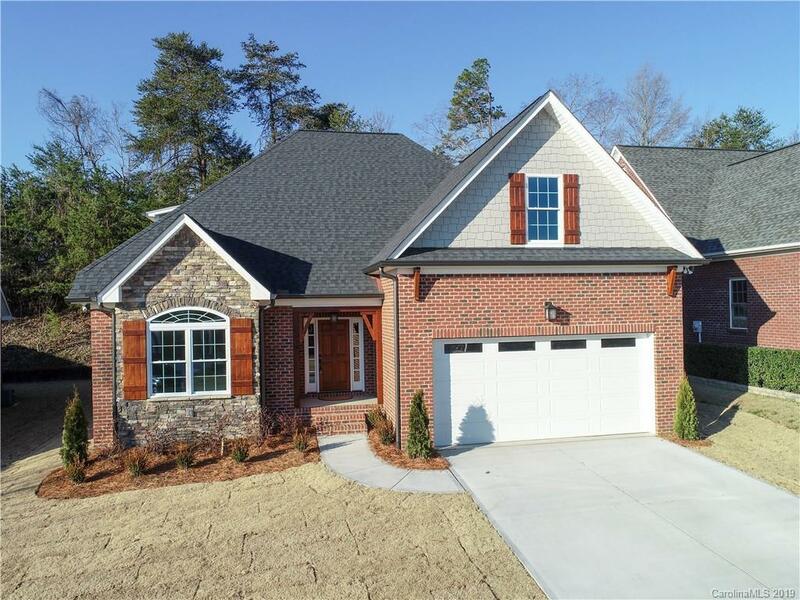 Features include crown molding, upgraded insulation, high efficient gas heat, Navien tankless water w/recirculating loop for instant hot water, sealed crawlspace, granite countertops throughout, large pantry, custom kitchen cabinets & large island, kitchen aid appliances, solid wood front door & 2 car garage and oversized gutters. Old Course is a gated patio home community & home backs to 3rd fairway on Cramer Mtn Golf Course. Close to Belmont & Charlotte Airport and I85 & I485.